Date : AD 250 to 251. Size : 21.7 X 22.8 mm. Weight : 3.32 grams. Grade : gVF but slightly rough. 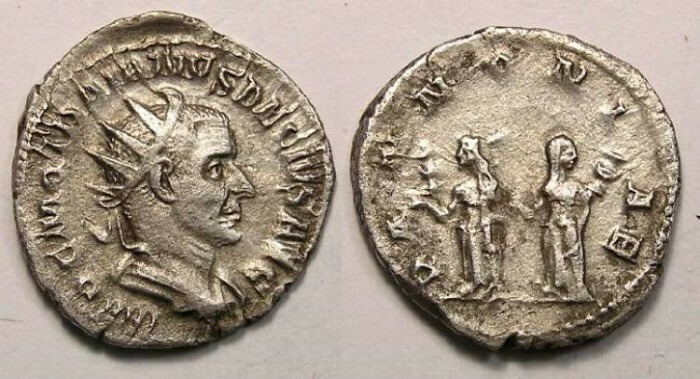 Obverse : Head of Trajan Decius right, with IMP C M Q TRAIANVS DECIVS AVG around. Reverse : Two Pannoniae standing side by side, facing slightly outward and each holding a standard, with PANNONIAE around.